Nihon Superior (Singaport) Pte. Ltd. and Nihon Superior Co. Ltd will exhibit at IEEE EPTC 2014, scheduled to take place Dec. 3-5, 2014 at the Marina Bay Sands in Singapore. Company representatives will showcase the SN100C Solder Spheres and Alconano Nano-Silver paste. The reliability of SN100C has been proven in a wide range of electronics assembly products. The SN100C alloy delivers a silver-free stable microstructure that can accommodate the long-term and impact strains to which a solder joint can be subjected. The eutectic character of the SN100C alloy and the associated high fluidity provides faster wetting and increased spreadability over SAC305, which is beneficial in wave soldering and hand soldering applications as well as in reflow. 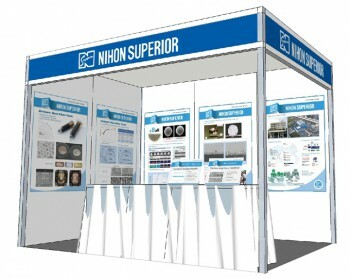 For more information about Nihon Superior’s expansive range of SN100C products, meet company representatives in Level4, Orchid Main Ballroom.